Merry Christmas! Have a Happy Hanukka and New Year!!! 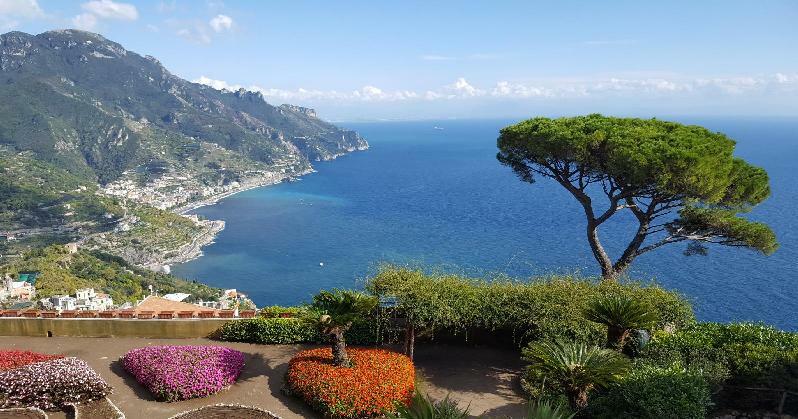 A dear friend from California invited me to a two week strenuous and wonderful nostalgic trip thru Tuscany (Florence, Siena, Lucca, Orvieto etc), the beautiful Amalfi Drive, Positano and magic Capri, and five days in Rome. 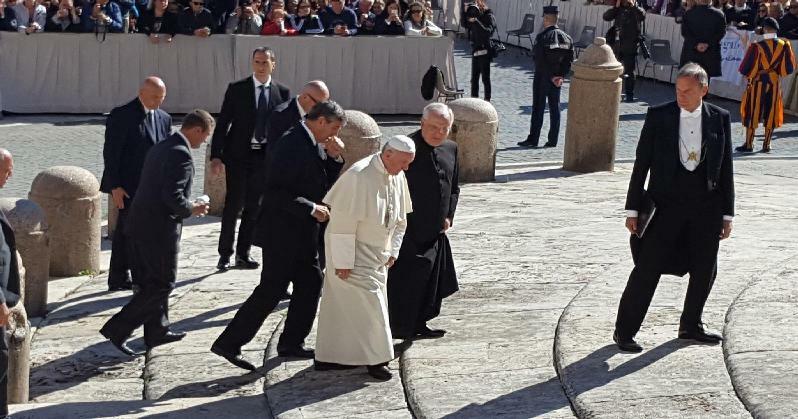 A close Jesuit friend in Rome got us three tickets for Pope Francis' Wednesday audience up on the "sagrado" in front of St. Peter's, 30 feet from where Francis addressed the huge crowd. 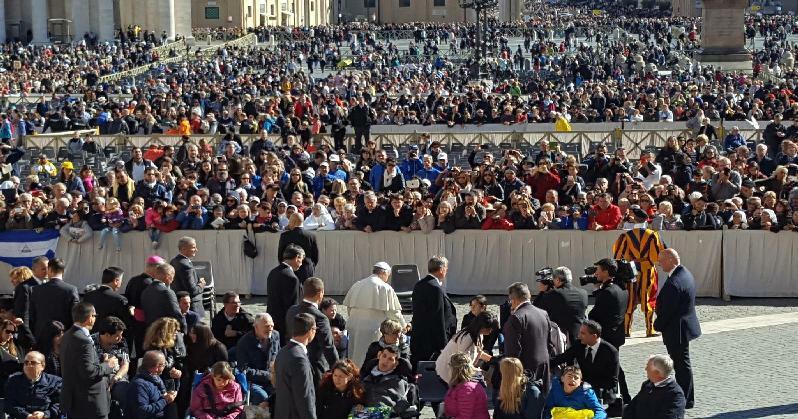 Pope Francis spoke to each of 100 disabled people with large crowd in background. 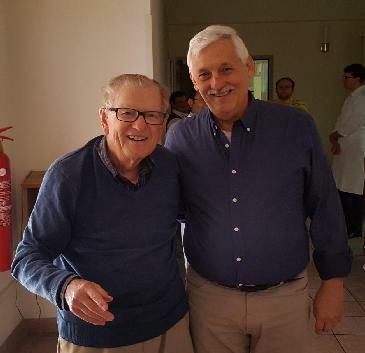 Thanks to lucky timing my days in Rome coincided with our Jesuit meeting where 215 worldwide Jesuits met to elect our new leader, Venezuelan Fr. Arturo Sosa. I attended his inauguration Mass in our spacious Baroque Gesu church. The next day in the 16th century palazzo (where years ago I lived for three years to pick up a doctorate in theology) the Superior invited me to sit at the same table with our new General for a festive dinner in his honor. He speaks fluent English, has a great sense of humor and is a very down to earth person. We're in good hands for these challenging times for our Church and for us Jesuits. Joe Eagan,SJ, Class of 1940. John Thompson '63 RIP appeared on "What's My Line" back in 1967. Bill Kraus' '63 mother, Jeannette, was on "What's My Line" in 1963. In late summer, 1954, I had been attending two-a-day football practices for about 1-2 weeks at Catholic Central High School in Springfield, Ohio. I was 14 and an incoming freshman. I had two older brothers, Toby Grim and Pete Hackett, who were seniors on that team. While having lunch at home, our father and mother announced that they had great news for us - we were all going to Campion High School in Wisconsin. They had decided that a prep school education was an advantage in competing for sports in college. My brothers exploded!! "What? Make us leave our school in our senior year? Uproot us from our friends? No girls in the school?" As starters on the football team, and one a likely captain, they continued to plead and complain, but it was to no avail. (I, as a freshman, didn't have the same attachment, so I was more ambivalent.) Shortly thereafter, our parents drove the three of us to Prairie and dropped us off, still thinking it was "the right decision." I started playing freshman football under the tutelage of Father Bailey. My brothers started with Coach Peterson on the varsity team. Within a week or two, I saw my brothers in the dining hall. They told me they were leaving (running away) and wanted me to join in the "jailbreak." I declined, respecting my father and his opinion that Campion was the best for me. However, they wanted unanimity and tried to persuade me otherwise. Their plan was to leave on Sunday after mass theorizing that there were many hours before they would be missed. They again sought my inclusion on the eve of their departure, but I remained steadfast. About 9:00 PM on Sunday night the priests came to me to ask where my brothers were. I said I assumed that they were in their rooms. They pressed, and I again denied any knowledge of their whereabouts. Finally, the priests said they knew my brothers have left and under no circumstances could they be accepted back into Campion. Leaving in this manner was grounds for expulsion. The priests went on to say that my parents were very concerned about my brothers and were certain they would not have left without telling me their plans. After 2 denials, I told the priests that my brothers were hitchhiking back home to Ohio. Hearing they made it home safely by Monday night, I had to pack up all their clothing and gear to be shipped home to them. Both boys had successful senior years; and both went on to college for their degrees from Notre Dame and University of Missouri. My parents finally acknowledged that they "probably made a mistake." So, how's that for a start at Campion for a 14-year-old kid? I thrived at Campion in athletics, the classroom, and socially. I graduated in 1958, and my wife, Patti of 55 years, attended my graduation at that time. But the highlight and most wonderful part of my four years at Campion involved Fr. Walt Halloran, Campion's assistant football coach. He and my father went out to dinner one night after a football game. They had some beers and bonded. My dad had married 2 Catholic ladies and raised 10 Catholic kids (his, hers, and ours) but never got along with our parish priests back home. He and Fr. Walt hit it off, and Fr. Walt was able to convince dad to convert to Catholicism. However, I was unaware of those discussions and dad's plans, since he went through the process 500 miles away back in Ohio. At our 1958 baccalaureate services, my dad gave me my graduation "present" - the most beautiful gift a kid could ever receive! He walked up the aisle and received his first communion! Great video! Interesting to hear about his vocation and how he lost his eyesight---and in turn how he feels like he gained even more from that event than he lost. That's his attitude that we all remember and admire. Also love that he's sporting a GB Packer sweatshirt! Thanks for including. I also used to take them water skiing (even Fr. Kalb!) One weekend morning Bro. Gillick wanted to go skiing himself. These were small lakes and the ski boat traffic was always heavy which meant you had to be very aware of who else was on the lakes, where they were so if you fell you didn't get run over; and, so that you could stay upright, what unpredictable wave action they were stirring up----could be quite challenging. My dad was very concerned that we would be towing a blind man around Long Lake but agreed that he and I would take out Gillick. As soon as we started out and he got up on his skis Every Boat On The Lake Disappeared! He had smooth water and made several circuits of the lake without incident. To this day, my 92 year old dad still talks about it with amazement---figures The Almighty was holding Bro. Gillick in the palm of his hand. It Was Extraordinary! Makes me smile thinking about it this morning. "Where ya' from Colonel". "A little town in Wisconsin. You never heard of it..."
From our 1959 yearbook... Marc Lancaster wrote for The Low Stone Wall - December 7, 2016 a review of Fr. Schmitts '28 service and history of his recovery and DNA identity. Father Al stood aside to save shipmates as USS Oklahoma met its fate. Read about it here. Our other Honored Dead from our 1945 yearbook. 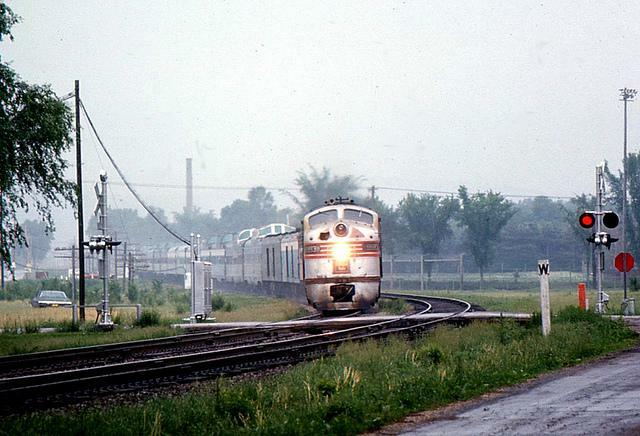 I came across these on-line color prints of the Burlington Twin City Zephyr, a major transportation mode for Campion students, regrettably phased out by 1971. 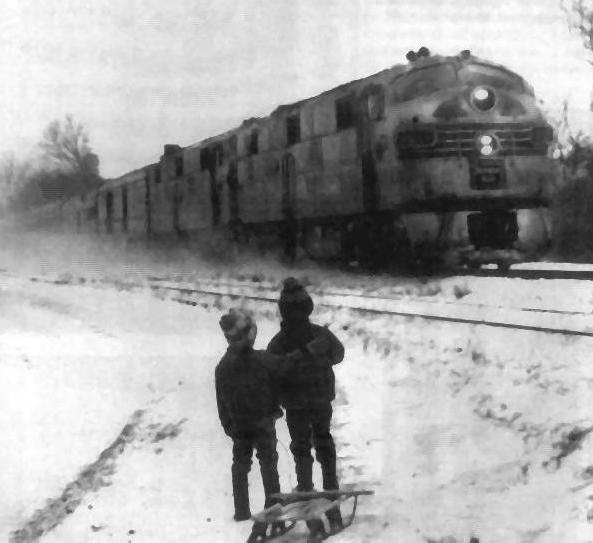 One photo shows the train running along the Mississippi on a winter's day, another is reported to be taken in PDC going northbound in 1956. 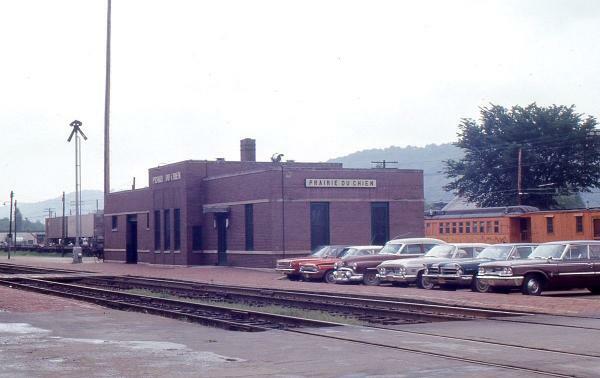 A third photo is from 1970 and shows CJHS smokestack in the background....this train is actually two trains in one (also appears to be going northbound), the Great Northern's Empire Builder (blue and white coaches) and Northern Pacific's North Coast Limited, green coaches at the rear of the train - not fully visible. They still designated this train a Zephyr anyway, as I recall....the press to reduce the number of scheduled passenger runs, signaling the ongoing decline in rail service at the time, was in effect. 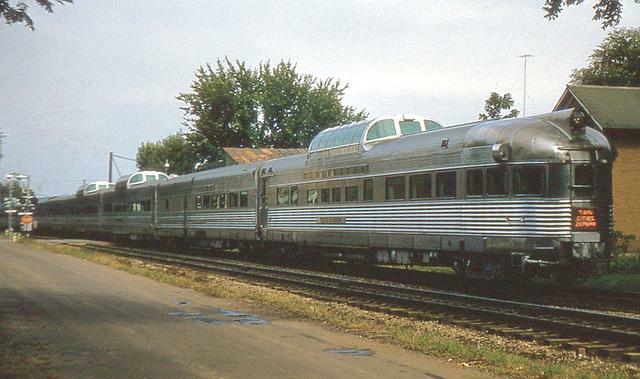 Frequently, during the late 1960s, aluminum CBQ coaches would also be added, creating an enormous streamliner, 20-24 coaches long with four to six locomotives! The combined train would split at the Twin Cities and would go on to the coast in the Pacfic northwest. When returning to school, if possible, I'd try to get a seat on the NCL from Union Station (Chicago) to PDC...why? 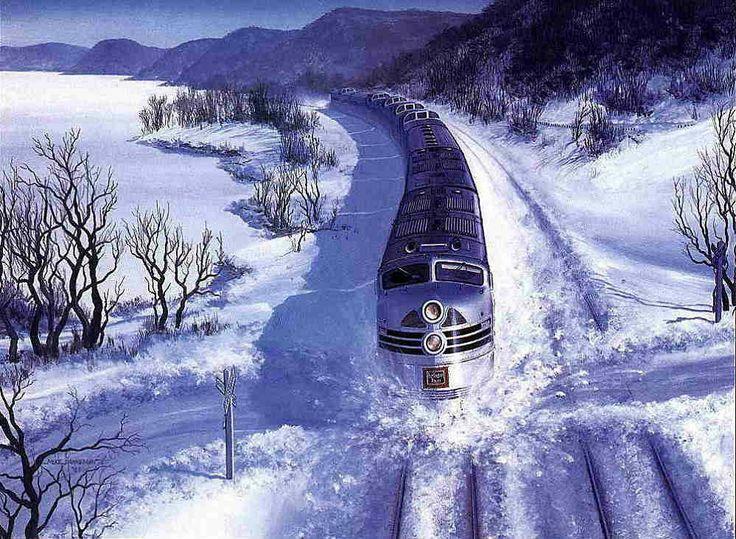 'Cuz the train was very clean, had a great dining car (cloth tablecloths and real silverware - one could live large with a ham sandwich and a coke) and it would leave Chicago at 1:00 pm, arriving at PDC at something like 4:50 pm, just in time for dinner. (hey, why be miserable when you're going back to school?) The fare was something like $13.00, round trip and the return ticket was always turned in at the Bursar's Office, to be given back when one went back home. The combined Great Northern/Northern Pacific train passed through PDC en route to Chicago daily at 10:15 am - ran like a Swiss clock....always went by at the start of third period class, as viewed from the north side of Campion Hall. It didn't pick up passengers going south bound; one had to get the 11:00 am Burlington Twin City Zephyr if one was going home in the morning. There was late night Zephyr service (arrivals ca. 2 to 3 am).......I'm sure every Campion Knight will recall the lonely train whistle coming out of the darkness while in bed. You never heard of it, it is a school in a small town.....What class were you in? I can not recall how many times somebody asked where I went to high school. Most of you probably started out your explanation the way most all of us did, "You've never heard of it. It is in a small Wisconsin town...." At that point, usually the person cuts in and says, "What year did you graduate from Campion?". Those who know me, know that I was in the USAF 21 years. I was extremely lucky, probably due to a lot of the Jebbies, as well as Mr. Halstead, to have gotten selected to be a linguist. It is not an easy task to be selected for this or the other related fields. The requirements are really high, and if you fail a second test, you are out. At the recruiters, when they told me I was going to be a linguist, I thought they were nuts, as I had just failed German at Loyola University in the loop in Chicago. Of course, I failed almost everything else. That strong guiding hand, and JUG slips were nowhere to be found. And that is where it got interesting. Even in my first tour, Pakistan, I found out that one of the people I had replaced was more than likely a campion grad. It got even better when I was assigned to Berlin years later. I was sitting across the table from a guy at the 1969 Christmas party. Back then my fingers were thin enough to still wear my class ring. I still have it, by the way. Blond headed guy sitting across from me I noticed was looking at my ring. He piped up, "So what year did you graduate from Campion?" Holy Cow! No introduction - just the question. Well, it was George Eastman, a 1965 grad, townie. He was also a Russian Linguist. That, the linguists and other bunch, is a whole other story. Nancy, his wife, a retired USAF Nurse, Lt. Col I believe, helped me immensely during my stay in the hospital for shingles last year. Now we come to a man who is now my best friend. Bill Skaug. One day, recently on Facebook, we are chatting, and he tells me, "You know, I was an Analyst at...". It just never seems to stop! I find that many classmates and alumni brothers found the military a perfect experience after Campion. 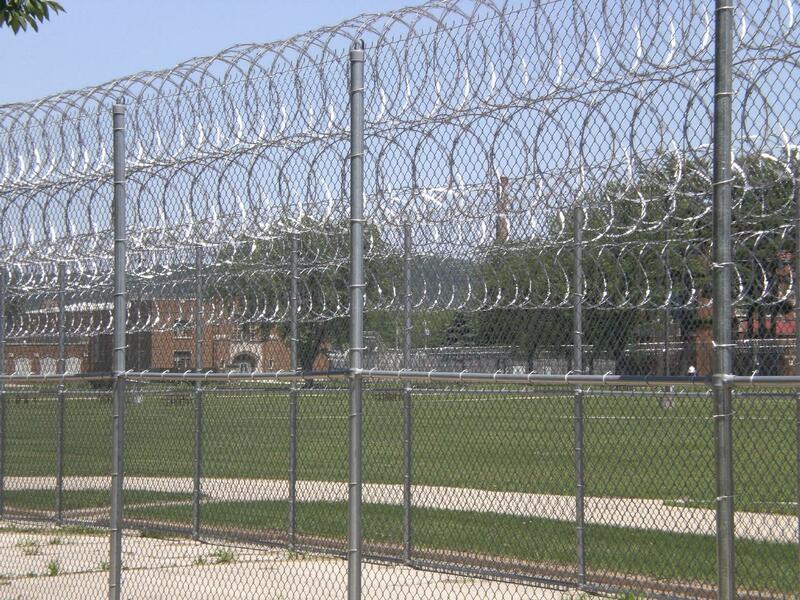 The structure of Campion lends itself well to those of us from what we thought of, and now is, as a prison. Only difference is that the Jesuits didn't need barbed wire and weapons to keep MOST of us penned in. There have been a lot of comments and questions about the story "The Big Change" that appeared in the October issue of Campion Forever Newsletter. This article will offer some explanations. Primarily, I was putting a collection of facts together from different sources, then drawing conclusions and expressing my opinion. The documents of the Second Vatican Council and from the Jesuits' General Congregations #31 and #32 are simply factual. There are some places where I relied on facts as given by Jesuits, such as in Father Howell's article (e.g., the drastic decrease in the number of Jesuits worldwide during the years 1966-74), or the information that Father Beaumier cited in his article on the 1969 survey that showed that Campion students were not growing closer to the Faith. 1. The enrollment numbers that I cited came directly from the copies I have of the red book directories. We entered freshman year with 167 students. After freshman year, 29 of those students did not return for sophomore year. At the start of sophomore year, we added 10 transfer students, so that the enrollment for sophomore year was 148; the net decrease was 19. After sophomore year, we had 26 students who did not return. And we added another 11 transfer students, so that our class numbered 133 at the start of junior year; the net decrease was 15. After junior year, we had 6 students who did not return for senior year, so our class numbered 127 at the start of senior year. Four more students left school during senior year, and thus our graduation class numbered 123. When you add up the net decreases each year, you add 19 plus 15 plus 6, the total is 40. That is the net decrease in enrollment (FR-SO-JR) for our class. What the table shows is the net decrease of each of the three returning classes in any given year. For example, the number for summer/fall 1969 would be the sum of the non-returning students from the classes of '70, '71 and '72. To figure whole-school enrollment for any year, take the previous year's enrollment, subtract the graduating seniors and subtract the students from the three lower classes who did not return (the net number, which adds the students who transferred in), and then add the number of incoming freshmen. One of Campion's enrollment problems was that the net decrease in enrollment in the three lower classes was nearly double the usual number in fall of 1968 and fall of 1969. Together with a drastic decrease in freshman enrollment, the numbers were going down, fast. Non-returning students and fewer freshmen-those are the facts. My opinion, based on what I have heard from persons directly involved, is that one important factor was that some parents were not pleased with the changes in disciplinary standards, such as were begun in fall 1966 with the "Big Change." In many cases, parents, after 1967, found that schools with disciplinary standards comparable to Campion's were available locally at lower cost. 2. What did the students who were at Campion in the 1966-67 school year have to say about the changes? If you ask that question today, the answer would be colored by their personal life histories, and by the knowledge of Campion's demise. However we can look to the Campionette, Vol. 52, No. 10, issue dated April 22, 1967, where there is an article by Pete Fowler '69. On page 2, it includes the following statement: I had the chance to talk with four different freshmen, Tom Riordan, Les Maimon, Pete Helldoerfer and Pete Asmuth on just exactly what were their personal views and opinions are of the Mass. The discussion started off with the question of what they think of optional and mandatory Mass. All seemed to agree that Mass should be mandatory for a while, but should then gradually become completely optional. It seems that these students were more in tune with the statements of GC31 than was the school administration. 3. Why there was no mention of Fr. Greg Lucey in the article? Fr. Lucey served our class as prefect and teacher during our years at Campion, and was appointed principal for the 1969-70 school year. He became president the following year and served in that position until the school closed in 1975. Fr. Hilbert remained as Rector through the 1972-73 school year. Fr. Benno G. Kornely was Superior of the Jesuits, through the school's last two years. Fr. Greg Lucey has spoken and written extensively on Campion. He spent some time with me in May 1975, as the school was about to close, and I had reported to my classmates on that meeting shortly afterward. I remain appreciative of the way he allowed me to learn of the problems he faced. I would not blame Fr. Lucey for any of the unfortunate things that took place during Campion's last nine years. It had to be painful for him, as an alumnus, as well as for all the other Jesuits who had dedicated their lives, serving at Campion over the school's many years, to watch the school's decline. The Jesuits had decided, early on and at the highest level, that, in their commitment to social justice, they would serve the needs of the poor, and that the "cozy relationship" with the elite would be discontinued. There are statements in Fr. Howell's article that lead to this conclusion. That decision by Jesuit leadership offers an explanation for their desire to close Campion High School. One must keep in mind in reading and evaluating things that Jesuits say and write that, they live under a vow of obedience-to the Church, to the Pope, and, most directly, to their religious superiors. The attitude of Jesuits and ex-Jesuits that I have spoken with varies from "I have no emotional attachment" to some stronger language that I'd rather not quote here. Fr. William Doran told me that whoever runs a school must be attentive to the parents. Fr. Robert Lambeck told me how uncomfortable he was when he had to administer discipline to students. Fr. Frank Carey told me of his frustration when another Jesuit would administer "the paddle," as this action broke a promise he had made to parents. It was easy to tell that some Jesuits who had served at Campion for several years were not happy about the events that led to the closing of the school. But their words were always carefully measured and focused on their own personal roles at the school. Moving forward a few decades, I still hear of a lack of attachment to Campion among Jesuits and ex-Jesuits. I've also heard statements like "It was a good school; it's a shame it had to close." But Jesuits are always careful not to bite the hand that feeds them. 4. The arithmetic in the section on boarding schools today appears to be wrong. Of the 24 Catholic boarding schools, I only identified 23 of them as boys' high schools (7), girls' high schools (4), and coed high schools (12). Answer: there is one Catholic boarding school for boys, serving students in the elementary grades: St. Catherine's Military School, located in Anaheim, California. 5. What was the unfortunate turn of popular culture in film, in 1955? St. Catherine's school was the subject of the 1955 film, The Private War of Major Benson. The film starred Charleton Heston as Major Benson, assigned to head the school's ROTC program. The cast included Julie Adams, Nana Bryant as Mother Redempta, plus Tim Considine, Tim Hovey, Donald Keeler (who also played Tommy Rettig's friend Porky, in Lassie) and an innocent 16 year old Sal Mineo as the cadet Colonel of the ROTC battalion. Most of the other cadets were played by students at the school, as "extras." At the film's conclusion, the students marched in review, successfully, for the Army representative, just as we used to do back in the day. This film, which is noticeably Catholic, is now my favorite boarding school movie. Though St. Catherine's is a grade school, it has many similarities to the Campion I attended. One clear example of a 'turn' in culture is that, later in 1955, the film Rebel Without a Cause was released. Subsequently there was a series of 'juvenile delinquency' films, through the rest of the 1950s. Recollections of that era are marked by the unfortunate lives and (in some ways) tragic/mysterious deaths of the three stars of Rebel Without a Cause. There were some good films after that time, but there was a definite trend away from the cultural acceptance of the Catholic Faith, as existed before 1955. 6. What is the ultimate measure of success in a boarding high school, and how does Campion measure up? It is very correct for Paul McCullough '70 to write about the fact that many Campion alumni, all the way through to 1975, were admitted to high quality colleges and universities. As Paul stated, that is not the only criterion of success. And it is not for me to determine what the criteria should be. Looking at the Second Vatican Council document on Education, we see this statement: The first and most important mandate is the salvation of souls. Looking at the Jesuits 31st General Congregation, we find this in Decree 28, Section 12a: The first care of Jesuits should be that the students acquire that knowledge and character which is worthy of Christians. Thus a suitable amount of time should be allocated to the teaching of Christian Doctrine and religion. There are many ways to measure what Campion students did: grades in Religion class, college entrance, college degrees, successful careers, financial success. There is no way to tell, i.e., God only knows. But the real measure of success is, as Vatican II stated, the salvation of souls. Right now, for us, that is a work in progress. Years in the future there will be an answer, but even then, God only knows. Campion was not the only Jesuit boarding school to close its doors in the spring of 1975. The Cranwell School in Lenox MA also closed. Indeed, in his efforts to try to save Campion, Fr. Greg Lucey reached out to the Jesuits at Cranwell to partner in finding a solution. Today, Cranwell is a beautiful year round golf and skiing resort located in The Berkshires. Tom, I want to pass on to you information about Fr. John Bernbrock, S.J., born in 1926, died on Nov. 11, 2016 at the Jesuit Saint Camillus Retirement community in Wauwatosa, Wis. He was a Campion graduate in December 1943 and entered the Jesuits in 1944. He was ordained in 1956. He earned a Ph.D. in English from North Carolina U. in 1961 and was assigned to Sogang University in Seoul, South Korea, 1961-1970. Today Sogang may be the largest Jesuit university in the World. From 1970-1986 he taught English at Marquette High School, Milwaukee. From 1986-2010 he served in parishes in Florida, North Carolina and Arizona. He joined the Jesuit Camillus Community in 2010-2016. He was a very successful teacher in many places for many years.